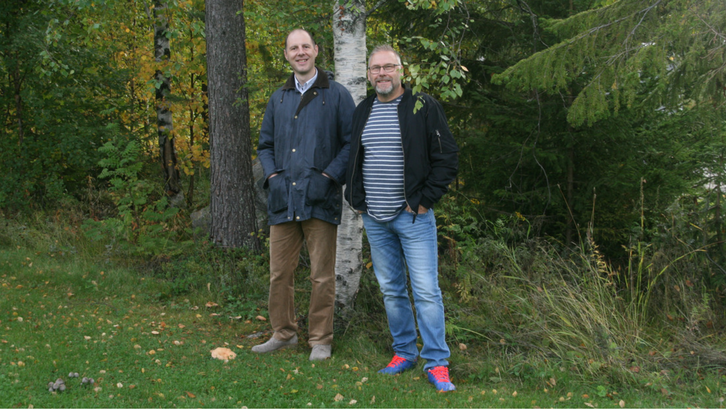 Our new colleagues Hans Hannlöv and Martin Haller are now in place. We are very pleased about that and together with them we look forward to make even greater benefit for you as a customer. Hans Hannlöv will work with technical support and installation procedures. Hans has a solid past as an engineer in the air force, where he has worked with Gripen and its advanced technical systems. Hans has worked extensively with quality assurance and safety and has also experience from international assignments. Martin Haller will work as a drying expert. Martin is educated carpenter in Austria. He is also a diploma engineer in wood engineering as well as doctor within Timber structures. In postgraduate education Martin has been engaged in numerical optimization methods in the wood construction industry. Martin has extensive experience within the wood industry and has worked as a carpenter. He has also worked with wood strength grading machines and has practical experience in wood drying. Our new colleagues, Martin Haller (to the left) and Hans Hannlöv (to the right).